We help you identify the nature and cause of your dilemma. 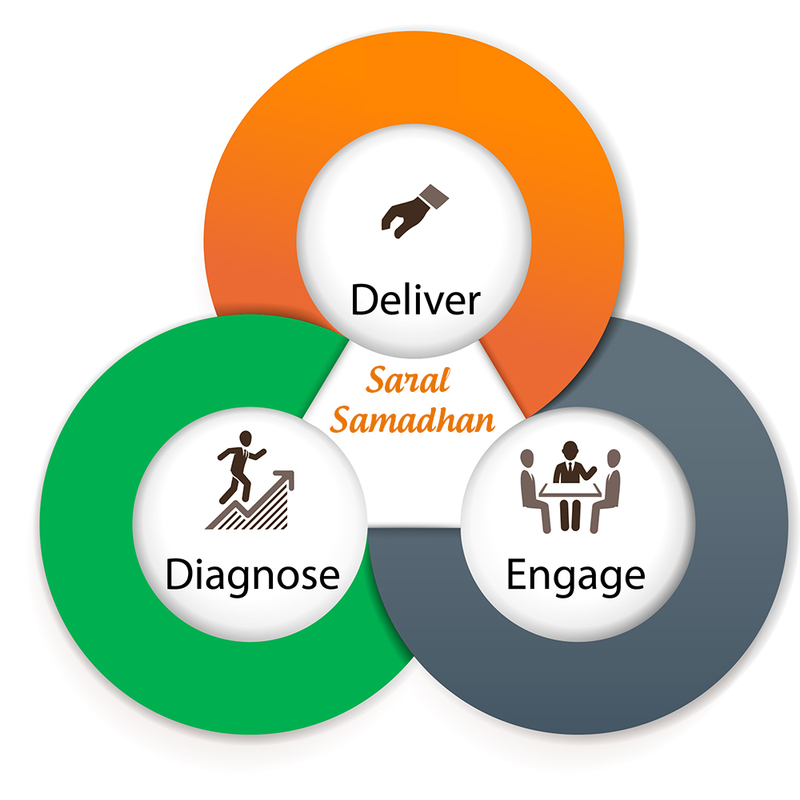 Our precise analytical tools and decades of experience come in handy to identify root cause and thus finding Saral Samadhan. We listen, take your inputs and then define our engagement model. This could be a fixed time, scope and value contract, retainer ship program or via an executive responsibility matrix. We implement robust, compatible and sustainable solutions. Our team’s hands-on experience, deep domain knowledge and world-class business exposure help us to produce remarkable results and fulfill our commitments.